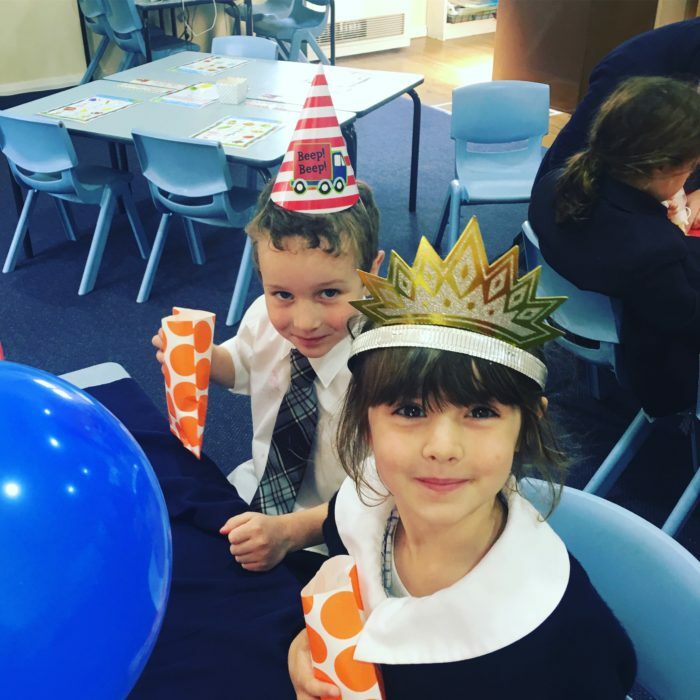 The end of Term 1 at ‘big school’ was so much fun, learning so many new things and becoming very grown up. 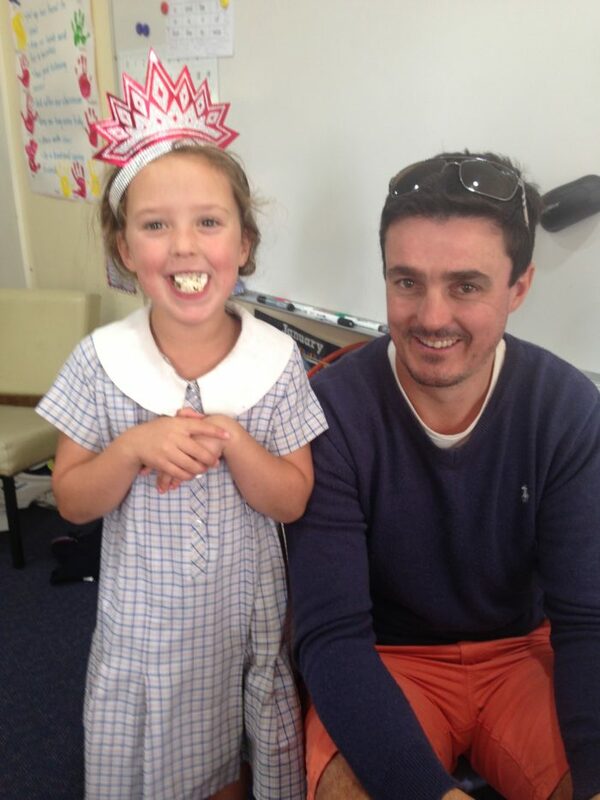 Maths lessons have been a blast. 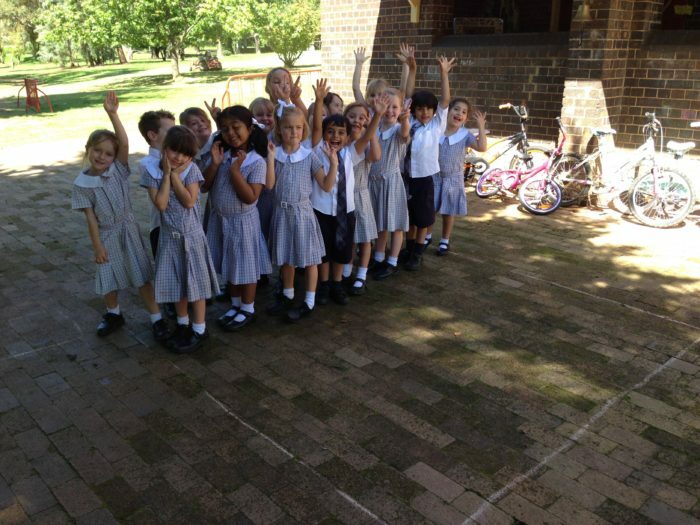 Students have investigated our playground by finding shapes and measuring and comparing lengths and areas of objects. 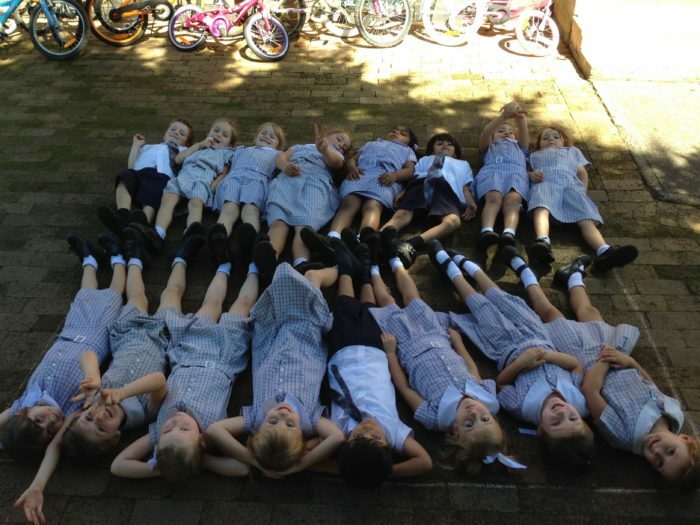 It was amazing to discover how many Kindergarten students could fit into a shape by changing how we tried to fill it – standing, sitting and lying down. 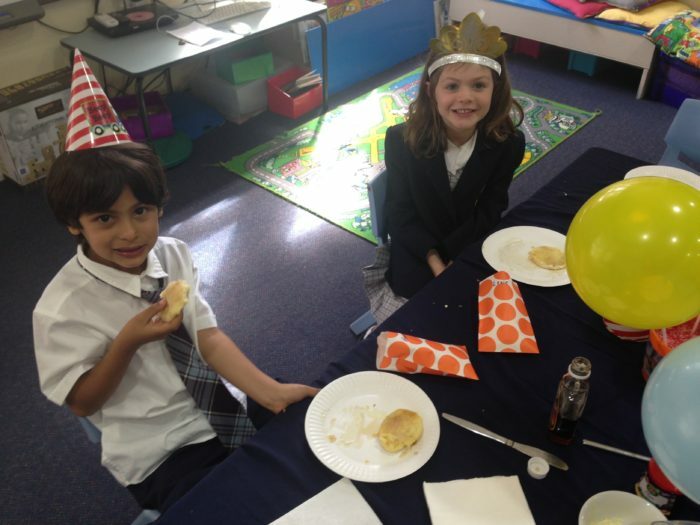 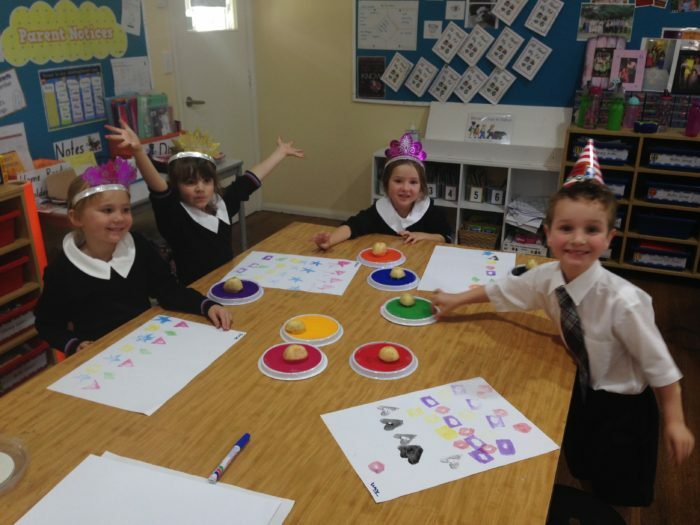 We also ended the term with a bang by having a party all about the letter ‘p’. 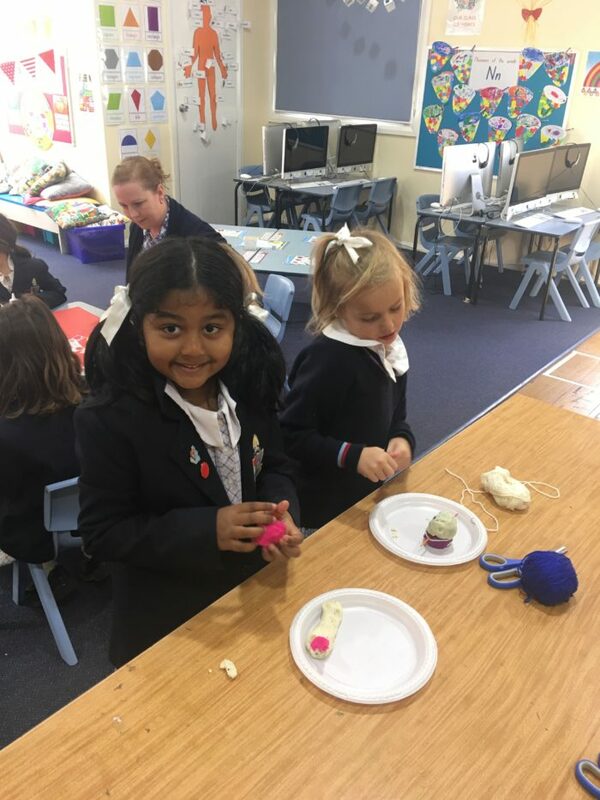 There were puppets and playdough people to be made, potato printing patterns, and popcorn and pancakes to please our palates. 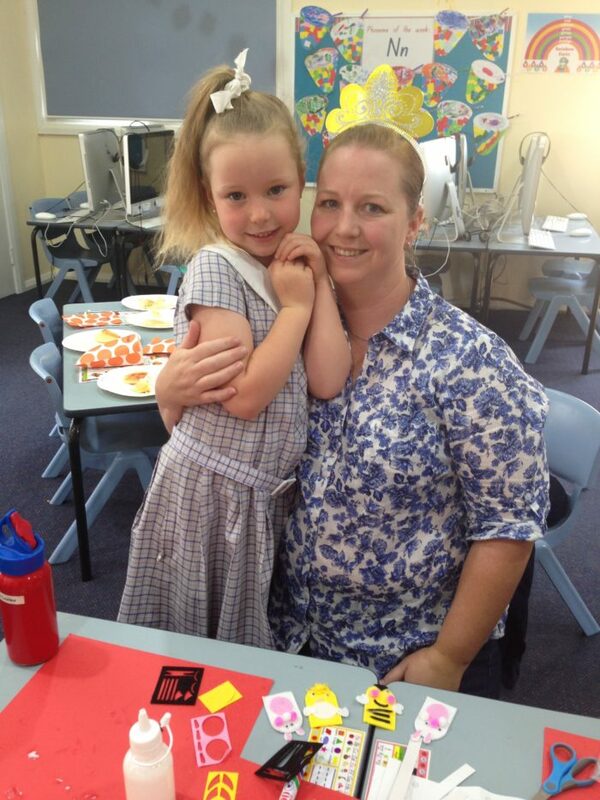 Thank you to the wonderful parents who were able to make it in for the morning to help share this great event. 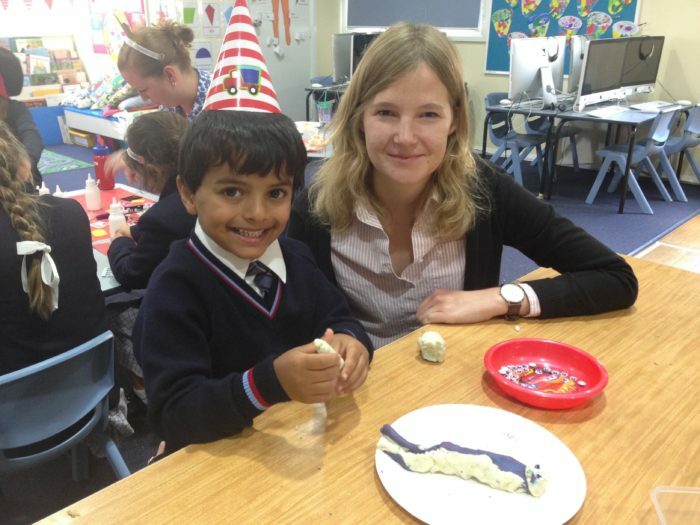 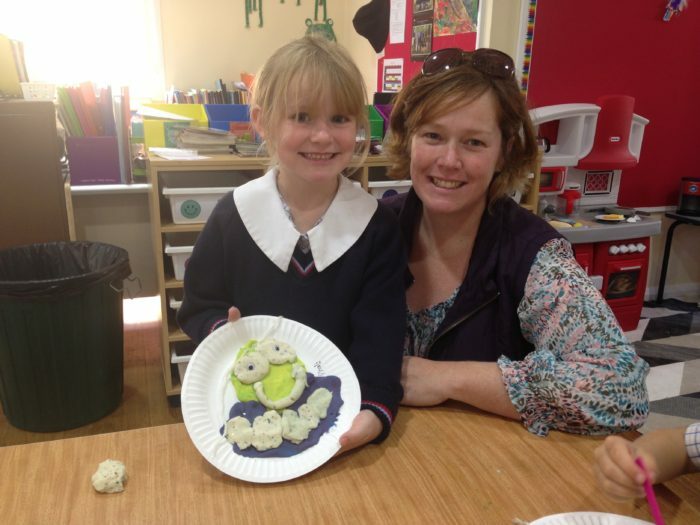 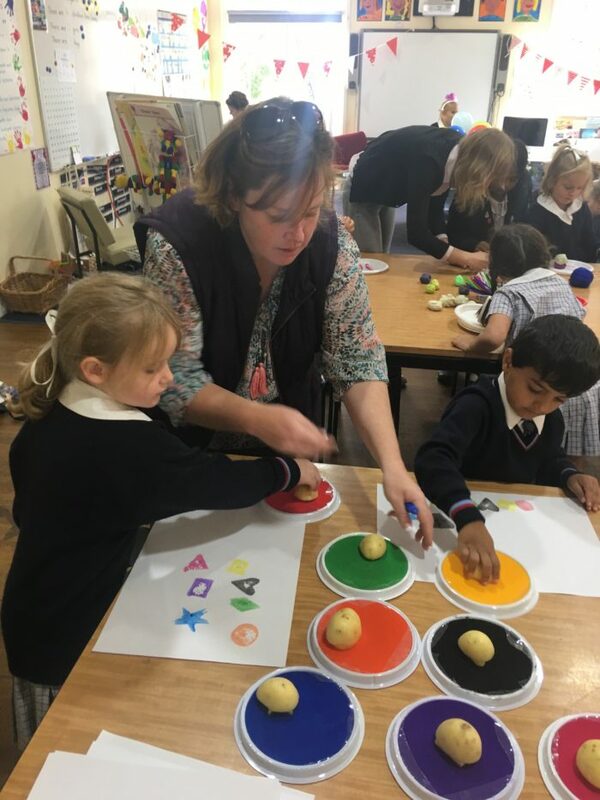 Your enthusiasm with cooking and making was very much appreciated by the Kindergarten children and your discovery of as many ‘p’ words as possible was arguably perfect! 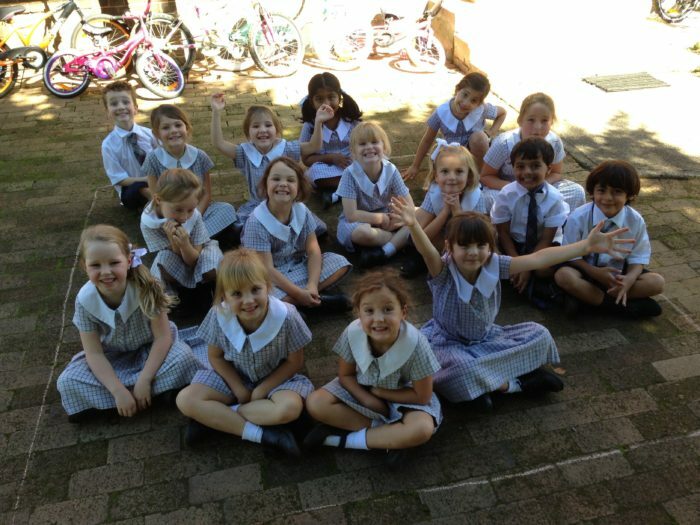 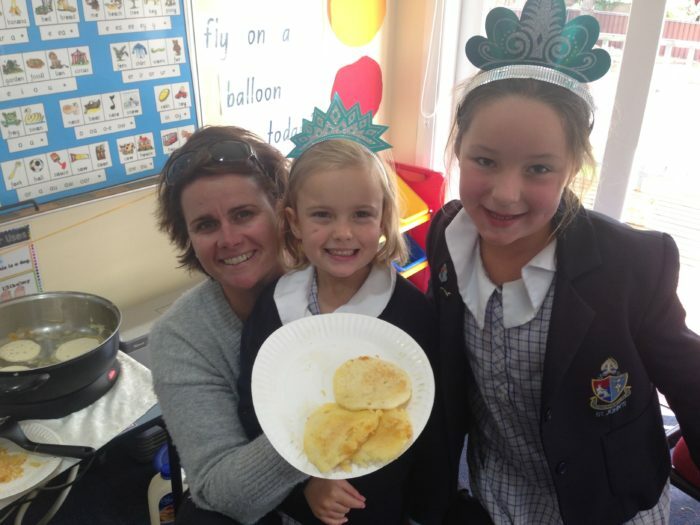 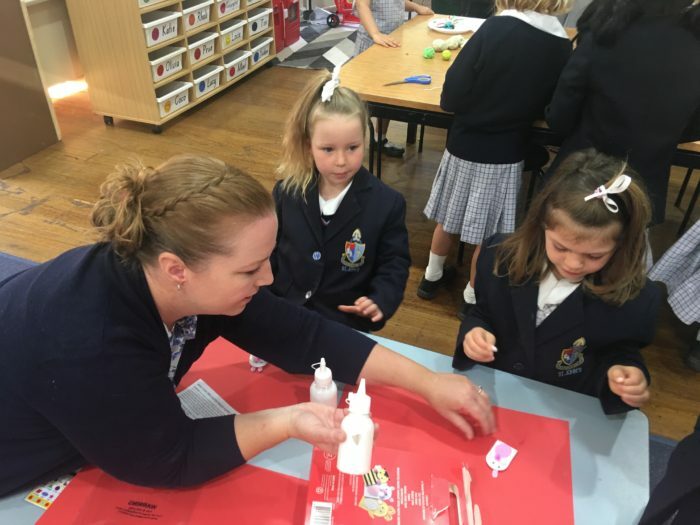 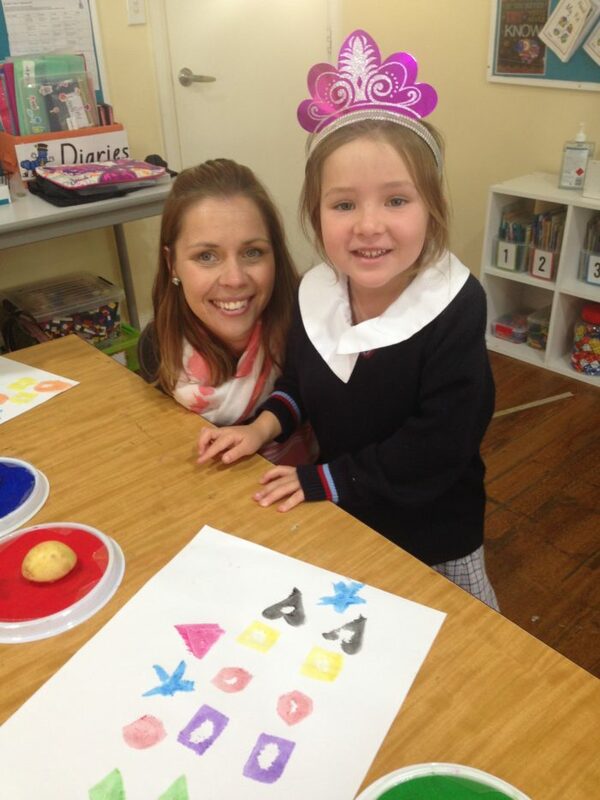 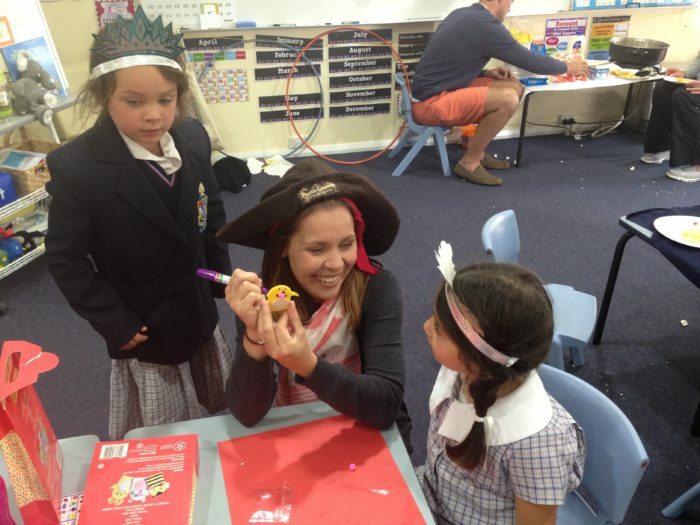 We look forward to wonderful times ahead in Term 2.